Hotels face the potential for class action lawsuits when their properties are found to have a significant building-wide bed bug infestation. Class action lawsuits in bed bug cases are no stranger to both State and Federal courts in large apartment complexes. While the Elsie Mason Manor case that settled for $2,450,000 after being upheld by the Iowa Supreme Court may be the most well-known, there are other bed bug cases that have been certified for class action status in Iowa and South Carolina. These include: Royal View Manor (certified 2016) and affirmed by the Iowa Court of Appeals July 2017); Central Iowa Shelter Services (certified March 2017); and, Spartanburg Housing Authority (certified 2017). There are also class action lawsuits pending in Illinois (Waukegan Housing Authority), Pennsylvania (Wilkes-Barre Housing Authority) and New York (Rome Housing Authority). 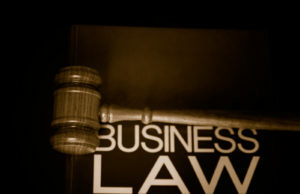 Class action status is a mechanism for allowing a representative Plaintiff to bring an action on behalf of him or herself and others similarly situated. While class action status has traditionally been sought in apartment and shelter settings, there are no apparent barriers preventing a case of that magnitude from being initiated against a hotel. In fact, since a hotel is a consumer good, a hotel that knowingly (or with reasonable care should have known) leases a room to a consumer with bed bugs may be liable for consumer fraud. Consumer fraud cases normally carry both traditional compensatory damages but also exemplary punishment damages along with the Plaintiff’s hourly attorney fees against the Hotel. The general requirements of a class action can be found in Federal Rule of Civil Procedure 23. While the legal process may look complicated, class action is designed as a simple and efficient means for the court to manage a case. Most class actions involve thousands or tens of thousands of potential consumers. However, class action status has been granted to classes with as few as 40 potential class members. Courts have almost universally found a group of 40 class members satisfies what is known as the ‘numerosity requirement’ – the minimum number of members required for a group to be certified for class action status. For a hotel, the numerosity requirement could be attained by considering the number of guests occupying far fewer rooms (e.g., 15-20 infested rooms at any given time). Further, the time-period for occupying these rooms may be extended over a limited period of time where the total number of occupants are tallied to reach the 40-member threshold. For instance, if Room 101 was used by 3 families with an average of 3 hotel registrants/room, that room may satisfy 9 members. Therefore, with multiple rentals in a week, the numerical 40-member threshold could be arrived at very quickly. Although the infestation would likely need to be comprehensive before the court would grant class status (meaning more than just a few rooms), an argument could be made that once the 40-member threshold is reached (given the same underlying infestation), numerosity has been satisfied. Once the numerosity requirement is satisfied, the court will look to whether the consumer (member) class presents a common question of law or fact. That is, not only are the underlying facts (e.g., building-wide bed bug infestation) required to be common, but this ‘commonality of facts ‘must predominate over any individual issues. To satisfy commonality, there must be a common question of law and fact such that “determination of its truth or falsity will resolve an issue that is central to the validity of each one of the claims in one stroke.” Wal-Mart Stores, Inc. v. Dukes, 131 S. Ct, 2541 (2011). This is perhaps the most troublesome requirement for both the consumer and Hotel to argue. The predominance question largely depends on how the issues are framed by the consumer. For instance, if the consumer overreaches and attempts to present a case for class action certification both on liability and ultimate damages, a Hotel may be able to argue that the individual bed bug experience is so different between consumers that the individual issues predominate over class issues. These issues have been handled in different ways by various judges. Some judges will merely seek to refuse certification thereby requiring the individual consumers to file a pooled joint suit or pursue their bed bug claims independently. Such a prospect may seemingly be a victory for the Hotel but in this instance, the Hotel may be faced with 40 plus bed bug law suits, with independent damages and attorney fee claims that in aggregate exceed the total class action exposure. This raises the question of whether it may be prudent at times for the Hotel to ask for class action status to settle all claims at once with a global release. While some courts may provide definitive approval or refusal to recognize a class action request, some judges are more nuanced. Judge Posner, a well-regarded federal judge on the Seventh Circuit Court of Appeals, wrote an opinion widely relied upon that allows the class action to be certified on the issues of liability while finding some potential solutions to work out the predominance question. These include: (1) dividing liability and damage trials with the same or different juries; (2) appointing a magistrate judge or special master to preside over individual damages proceedings; (3) decertifying the class after the liability trial and providing notice to class members concerning how they may proceed to prove damages; (4) creating subclasses; or, (5) altering or amending the class. See Carnegie v. Household Intl, Inc., 376 F.3d 656, 661 (7th Cir. 2004). While there are some other elements of a class action, the predominance elements have always appeared by be the most litigated element. In all the cases where bed bug class actions have been granted, the courts have found favorably for the consumer and have concentrated on the “fact of infestation” rather than the individual issues. Thus, while individual issues may always exist in a bed bug case because consumers have different bed bug experiences, the issue of whether there was a building-wide bed bug infestation remains the central and most important factor. Consequently, Hotels that find themselves confronted with a property-wide bed bug infestation may be susceptible to a class action lawsuit. In fact, if the consumer is concerned with certification, he or she may limit the class action status to the reduction or release from payment of hotel charges allowing for the actual and punitive (or multiplied) damages plus attorney fees to be litigated. Bodily injury and emotional stress claims may be addressed in individual lawsuits leaving the Hotel to fight the claims on two separate fronts. The economic prospects of reduced or lost room charges for a few weeks or month on a property-wide basis plus paying the attorney fees to the consumer class action attorney is daunting. Couple that with separate claims for bodily injuries and the economic impact of a class action is devastating. This does not even consider the impact of disclosure of a class action suit on hotel brand reputation where hotel reservations would suffer once reported on social media. Act now to start preventing bed bugs in your hotel.